KakaoTalk from KAKAO Inc. is with over 40 mil. Korean and over 140 mil worldwide users the leading messenger app in Korea. 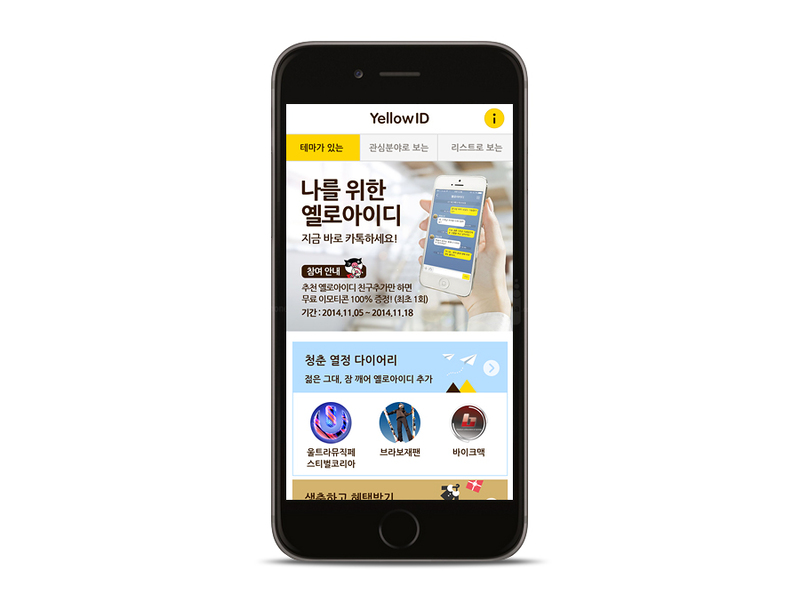 We developed for the Korean market a mobile site to promote Yellow ID, the new B2C chat service from KakaoTalk. With Yellow ID users can have a private chat with a their business of chice. Requests will be answered directly by a business owned Yellow ID specialist. This service helps user to find easy the business related information and replaces complicate web research, FAQ browsing or callcenter calls. We followed with the site a mobile first approach to inform KakaoTalk users about the new service and make ist easy to explore find and add use relevant businesses to their chat list. During the campaign period of 13 day the page got over 800.000 unique visitors.